Hot on the heels of record high sales for its Pepsi Max brand and Robinsons Refresh’d variant in 2017, Britvic is looking to add to their successes with a renewed focus on their Squash’d line. Prior to launching Squash’d, the product was only made available in a larger-sized bottle concentrate. After some research, the brand determined that they needed an on-the-go pack for out-of-home portability and convenience. The results of this research produced Squash’d, a compact, super concentrate version of their traditional bottled product. 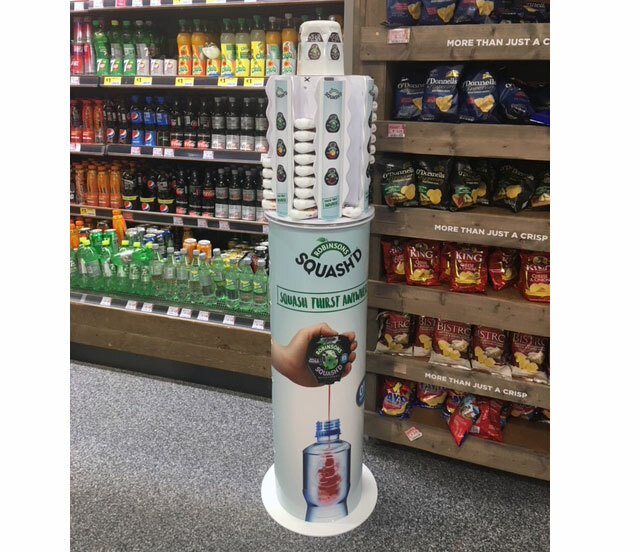 To help disrupt the water enhancement category and improve visibility for their brand, Britvic created this cylindrical display which was recently spotted in-store by our Dublin based colleagues from POP producer Loredo. 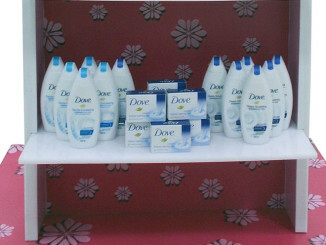 The display’s small footprint enabled retailers to easily relocate the unit to areas in the store for cross promoting, like where bottle water is merchandised. In-use ‘wrap around’ images on the base provided an immediate story about the brand and product function. The top portion, where the various SKU’s are merchandised, was designed with a spinner base so shoppers could readily access the different flavors. Loredo , founded in 1963 is located 10 miles west of Dublin Airport . 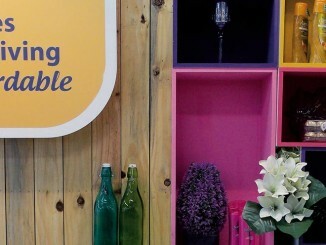 The company specialuse in the production and design of Point of purchase display from wire tube and sheet metal. Loredo , founded in 1963 is located 10 miles west of Dublin Airport . 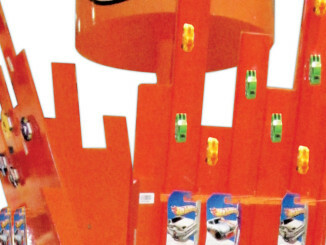 The company specialuse in the production and design of Point of purchase display from wire tube and sheet metal. All of our company’s products are made to customer specification and Loredo have a full prototype division which enables them to manufacture one off samples to ensure the client is happy before production commences.The turnaround time for most samples ranges between 7 and 14 days.